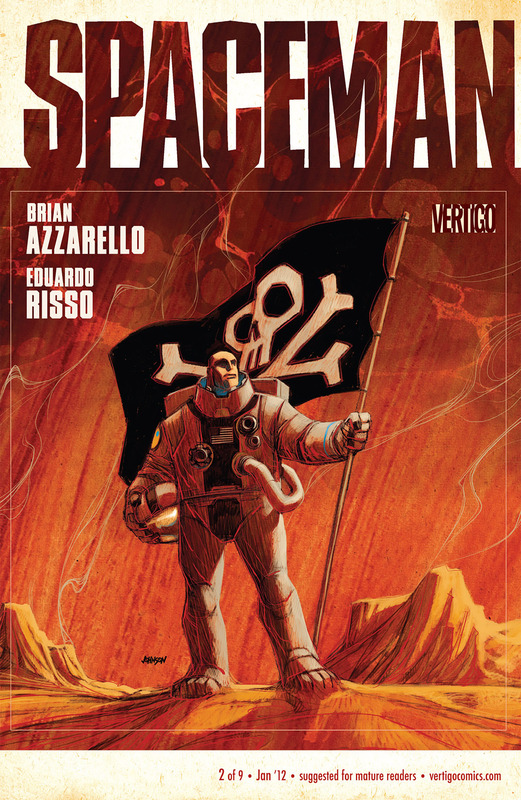 And it came to pass in those days, in the wilds of the Internet in the country of Popdose, thy humble servant Johnny Bacardi didst decree that he hath once more brought forth new reviews of recent comic and graphic novel reviews, including Craig Thompson’s Habibi and the DC/Vertigo limited series Spaceman. Time once more for Confessions, in which I write a line or three about recent comics and graphic novel releases that I’ve read in the interval since the last CoCSJ, most of which should be available via a brick-and-mortar or online merchant near you, if you’re lucky. Or not, as the case may be. 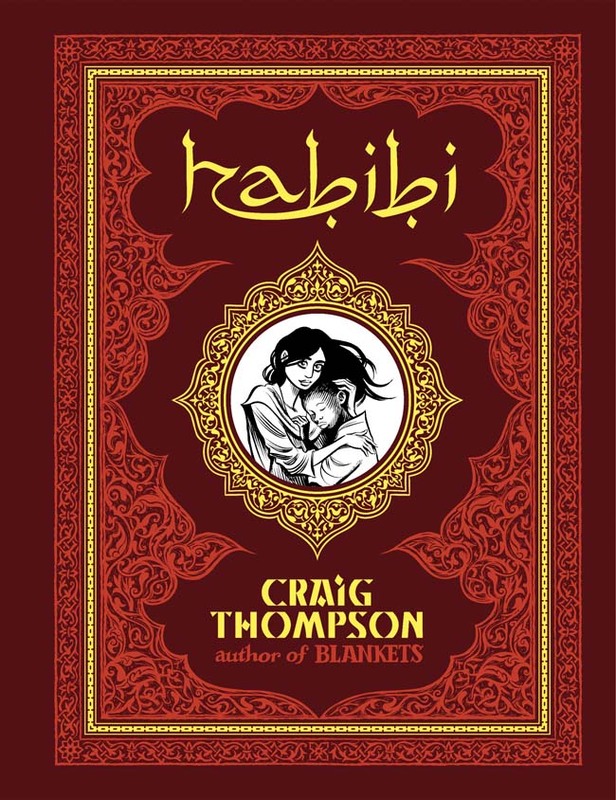 Habibi, Thompson’s first full-length graphic novel since his rep-making 2003 Blankets, has most certainly been one of the more controversial, at least in comics readers circles, releases of this year…and is definitely one of the most ambitious. The story of two orphans, female Dodola and male Zam, who meet in slavery as children, takes us on quite a journey- he’s not only giving us a love story, but also exploring the differences and similarities between the Christian and Muslim worlds along with the first and third worlds, as well as the Middle Eastern style of calligraphy and how, Thompson posits, it was one of the touchstones for the act of cartooning itself. Dodola (who was sold as a child bride to a older man, a scribe who taught her letters even as he took her virginity, but was soon killed by thugs who took the girl to sell to slavers) and Zam at first live in an old boat in the middle of the desert; she sells herself to passing caravans for sustenance, unbeknownst to Zam, and they grow up together, forging a bond. Eventually, Dodola is kidnapped and taken to a Sultan’s palace, eventually becoming his favorite concubine (much to the dismay of the rest of the palace). However, the fickle Sultan soon tires of her and decides to have her killed, and in a move straight out of 1001 Arabian Nights, Dodola prevails upon him to spare her life, which he agrees to…if he can show him how to change water into gold, and he gives her a set amount of time to do so. Meanwhile, the by-now teenage Zam, left to fend for himself, discovers a huge water source nearby (thanks to some divine intervention…in the form of a snake), gravitates to the city, and falls in with a group of eunuchs who soon welcome him into the fold in more ways than one. This leads him to the palace, where he finds employment, completely unaware of Dodola’s presence. Of course, this is a thumbnail version of about half the story- you don’t want me to give it all away, do you?- there’s much more in store for our star-crossed couple. Many have chosen to criticize its use of Orientalist themes and borderline offensive depictions of minorities, and some of them make some interesting and/or valid points, but as I read, this didn’t really present itself as a problem to me; perhaps this reflects unfavorably on my sensibilities, who knows. I did find myself taken out of the story at times dues to the abrupt shift from Scheherazade to, oh, the modern Middle East of Three Kings for lack of a better example; leaving a sultan’s harem then encountering modern soldiers, Ghadaffi lookalikes with big aviator shades and big water trucks took some adjustment on my part. I was less enamored of the Sultan’s retinue; some of them, the Sultan included, are depicted in broad, crass, comic style (As in his earlier efforts, humor overall just doesn’t come easily or gracefully to Thompson; perhaps it’s his upbringing but the attempts at lightening the proceedings with a quip here or amusing situation there fall flat.) that may serve to point out the frivolous, shallow nature of these people but just sat awkwardly against the tone of the rest of the book. Thompson tries to have it both ways, claiming that this is a “fairytale” depiction of a specific country or region, but that strikes me as a bit disingenuous; still, the big picture ultimately is more important to me than the trappings, at least when it comes to this particular story. More than anything, however, Habibi is an artistic tour-de-force. Thompson’s loose, brushy, Eisner-inspired style is given free rein here… and to use a word I’ve seen thrown out there in nearly every review I’ve seen so far, is stunning. Whether illustrating love scenes, scenes of degradation, imaginative Bible and Quran stories and calligraphy dissertations, or majestic, complicated city and crowd scenes, he does so with a light, yet assured, touch and an awe-inspiring attention to detail. You know me, I’ve always been more visually oriented than plot-oriented, and for me, anyway, that makes this worth the price of admission. Epic in scope but simple at its core, Habibi‘s ultimate message of love and the things human beings do in its name engages the eye and touches the heart, and to me that’s the very definition of art, no matter what the presentation. Bang bang shoot ’em up destiny…(sorry- it’s the title; puts that song in my head every time) This originated in one of DC’s recent anthology-themed license-perpetuating anthologies (you remember- Mystery in Space, Tales of the Unexpected); most of them featured what seemed like little more than inventory-clearance specials. This one, though, boasts the pedigree of Brian Azzarello and Eduardo Risso, who teamed up for 100 issues of the often opaque and convoluted but still quite involving-in-spite-of-itself crime thriller 100 Bullets and therefore have earned a free pass from me for a very long time. Moving away from crime fiction, they venture instead into Sci-Fi territory in a Frank Miller by way of Blade Runner by way of William Gibson (Idoru) style, giving us an account of a big lug named Orson, who lives in one of those grubby looking “could be next year, could be twenty years from now” type future societies where the rich are mega rich and the poor live in slums and scavenge junk or sell drugs for a living and everyone’s celebrity obsessed (sounds like it could be this year, actually); We meet, right off the bat, our protagonist Orson, who also happens to be an artificially born, genetically engineered by NASA to live on Mars apelike man, one of many such beings and who have been uneasily assimilated into the Terran population. Orson, while scavenging for valuable junk, is interrupted by an explosion on a nearby boat, and sees a man holding a small girl, preparing to jump overboard. Orson motors over to help and discovers that the girl is young celebrity “Tara”, and the man is a nasty-looking mercenary, who, as it turns out, was in the process of kidnapping her when Orson came along. This, combined with Orson’s intermittent flashbacks to the NASA Mars mission, makes up the bulk of the first two issues. 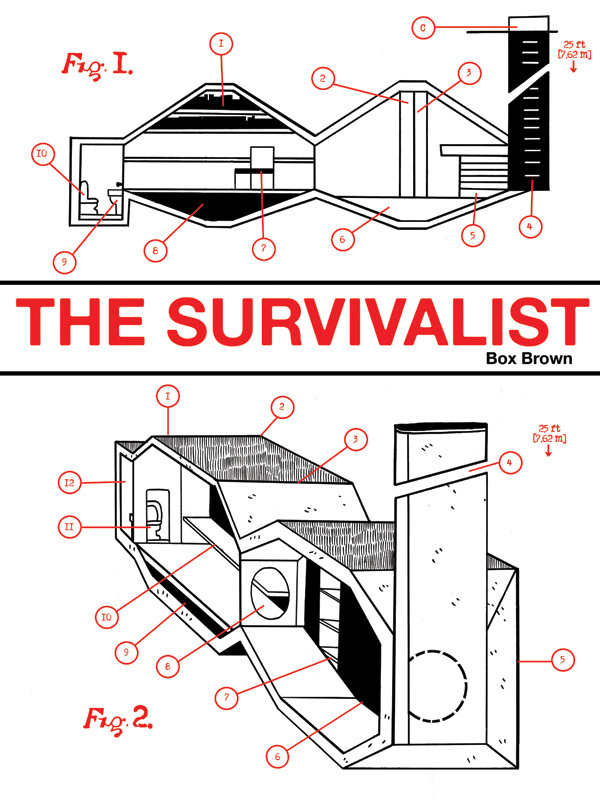 Azzarello seems to be gearing up for an epic story, though this is solicited as a 9-issue limited series; perhaps more chapters are in the pipeline if sales are good. It’s a decent enough foundation for a story, though his attempts at creating a slang for this futurish society are really forced and clunky. Otherwise, his terse style is in full effect, and overall he does a nice job of showing us just enough of this character and his world to make the reader want to know more. Kinda like 100 Bullets, actually. Also like 100 Bullets, all of this would be for naught if not for the talents of Mr. Risso (ably assisted by the colors of Trish Mulvihill), who is most surely one of the best illustrators around; he’s a master at establishing mood via blackspotting and dramatic layouts. I’m a little surprised that he’s taken to the Sci-Fi genre as well as he did the noir elements of 100B, but I guess I shouldn’t be; artists of his stripe tend to excel no matter what you throw at them. I think this may read better collected due to its somewhat decompressed nature; but I can recommend this, especially if you were, like me, a fan of their previous series. 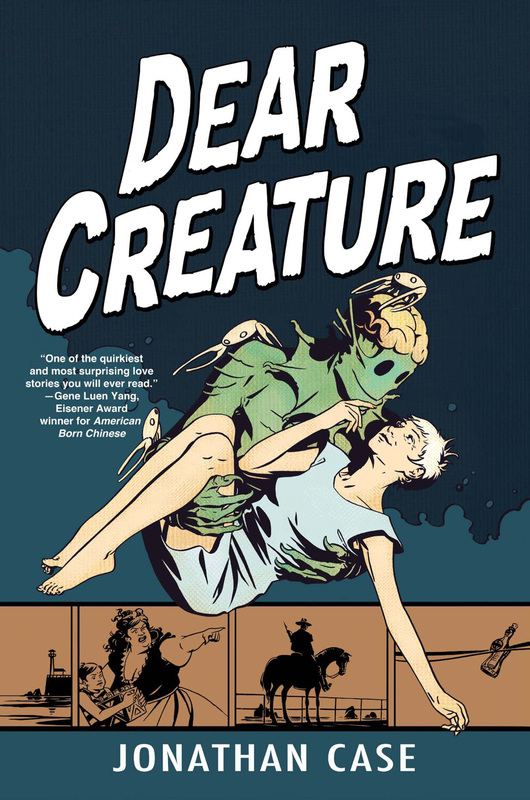 If you’ve ever wanted to read a 1950’s monster-movie style (think a more whimsical Horror of Party Beach) love story with an articulate sea creature who speaks in Shakespearean cadences, well, Case’s Dear Creature is the answer to your prayer. The sea creature, when we meet him, has been dragging unwary swimmers into his watery lair to feast on them (him, and a group of crabs, who feed on the scraps and chatter to him incessantly), when he’s not pining for the author of a series of love letters he’s found in the water, sealed in soda pop bottles. Tiring of his existence and yearning for more, he decides to venture into the surface world and try and find the person whose messages he’s been reading for so long…and of course, complications ensue. Case the writer keeps the tone light, even when the subject matter might not call for it; still, that keeps things moving along at a brisk pace and overall I found this enjoyable if a bit slight- it’s meant to be an improbable romantic comedy of a sorts, a Moonstruck Monster of Piedras Blancas if you will, and it comes across just as odd as it sounds. Case the artist works in absolute blacks and white with little or no in-between tones; it’s a stark look but it suits the subject matter. He tends to draw the surface people in a more realistic style a la a Pete Snejbjerg, Chris Sprouse of Gabriel (Locke and Key) Rodriguez, but the monster and his pals are exaggerated and cartoonish, which creates a bit of visual inconsistency, to my eyes at least. Anyway, most of the time Dear Creature is as amusing and entertaining as it aspires to be, and this particular act is a difficult one to pull off no matter who you are. I give him a A- for effort. Christmas Music List: These are a few of the Ex-mas albums I’ve been listening to lately as I steel myself for the upcoming holidays, some of which are perennial favorites: The Squirrel Nut Zippers- Christmas Caravan; Cyndi Lauper- Merry Christmas- Have a Nice Life! ; Mojo Nixon and the Toadliquors- Horny Holidays! ; The Beach Boys- Ultimate Christmas; Bootsy Collins- Christmas is 4 Ever; Christmas With the Rat Pack; Emmylou Harris- Light of the Stable; A Christmas Gift from Phil Spector; Dean Martin- Making Spirits Bright; The Jethro Tull Christmas Album; The dB’s and Friends- Christmas Time Again, as well as single tracks such as the Three Wise Men (XTC)’s “Thanks for Christmas”, James Brown’s “Santa Claus (Come Straight to the Ghetto), Lennon’s “Happy Xmas (War is Over)” (accept no substitutes) and Emerson, Lake and Palmer’s “I Believe in Father Christmas”. 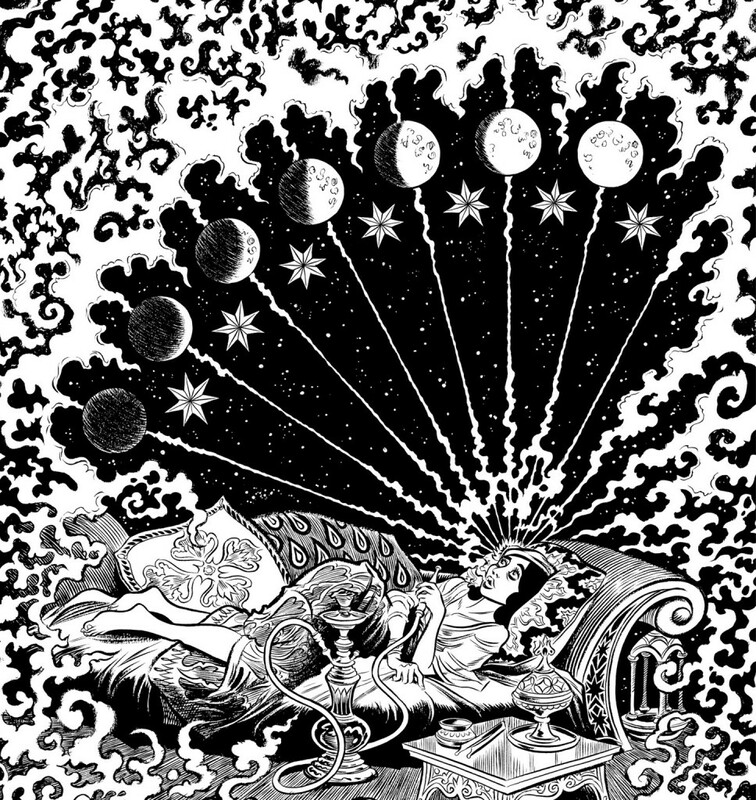 Just a heads-up: I was recently invited to join in on a newish group blog with a familiar cast of reviewers, several of which I’ve been in group blogs with before. It’s called Flashmob Fridays: A Trouble With Comics Joint, and its stellar roster boasts the likes of Alan David Doane, Johanna Draper Carlson, our sadly missed Scott Cederlund, Tim O’Neil, Mick Martin, and many others. Basically, we’ll all be (well, many of us, it’s a loose aggregation and not everyone is expected to contribute each week) chipping in with takes on a particular comics release every Friday. It promises to be really interesting; go here to check it out and bookmark away! Next time, before the end of the year I PROMISE, and hopefully by the end of the week, my 12 personal best of 2011! As always, thanks for reading.